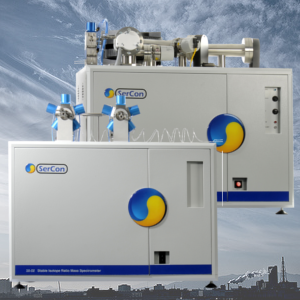 The Geo 20-22 dual-inlet gas isotope ratio mass spectrometer provides the ultimate precision and sensitivity in stable isotope measurement of a wide range of gases. High precision analysis combined with a wide range of sample preparation modules gives the Geo 20-22 the flexibility to adapt to a wide range of applications. These include geochemistry, hydrology, environmental research, marine and biological sciences. 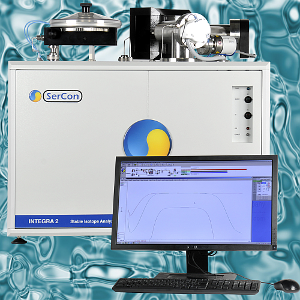 Using all the superior features of the 20-22, combined with an ultra-low dead volume dual inlet, the Geo 20-22 is capable of analysing all light gas species from m/z 2 to m/z 96. 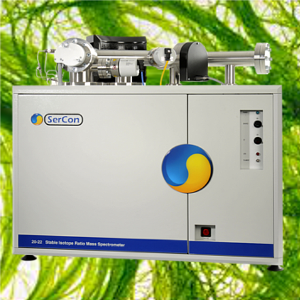 Provided as a modular benchtop unit, this system can be interfaced with all Sercon peripherals and preparation units including the microCAPS for carbonate analysis and WES for water equilibration through the dual inlet. For pure gases the system can be provided with a 10 or 20 port manifold and tube crackers.